“…a most useless place. The Waiting Place……for people just waiting. – Dr. Seuss Oh The Places You’ll Go! Have you ever avoided action in the name of prudence to find out later that you were too restrained? Might you have been reluctant to spend your own “personal capital” in service of an important purpose and missed opportunities in the process? 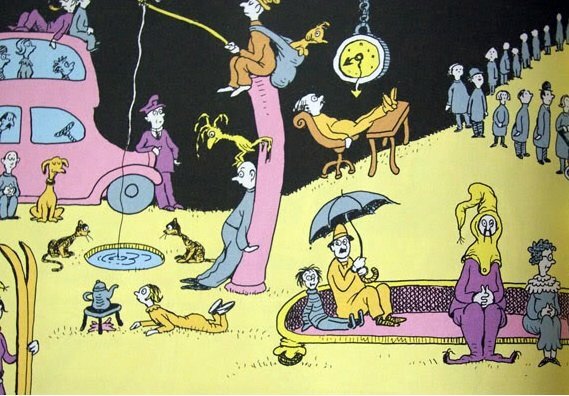 The result of this behavior is living in “The Waiting Place” that Dr. Seuss describes, a terrible place for leaders to find themselves in. In truth, the most fundamental experience you can have is that you are. There is no more fundamental experience than the experience of being yourself. All other experiences arise from that and we don’t have to do anything to be ourselves: we don’t have to make ourselves, our department or our team work. When we finally stop trying (or better said stop waiting until we can finally try at a more appropriate time), we discover this fundamental fact that we are. And that’s not waiting: that’s being. I hope you are clear about what I mean when I say doing nothing: doing nothing means to be yourself fully right in this moment, it’s about being there for yourself and others, simply being. It may mean to showing up differently than you showed up yesterday, or how you showed up all your life, but nevertheless in the moment, as the unique human being that you are. Doing nothing is the opposite of waiting: waiting is about tomorrow, doing nothing is about now. And while doing nothing seems the opposite of leadership, consider this: leadership development needs to be leadership unlearning first. Only when we drop the illusion of prudence, of waiting for better circumstances, and start experiencing ourselves do we lay the foundations that make bold actions possible. When we stop waiting to become a better self, or a better student, or a better leader and simply access our own critical dimension of existence, instead of trying to do things differently, we show up differently. And in doing that we experience ourselves differently so that the change that we long for so much shows up in our life right now. Not tomorrow. When that happens, waiting doesn’t makes sense anymore. So however we decide to show up, let’s stop waiting and start being. Now.